Le Xerox iGen4 EXP n'est plus commercialisé. Creative applications printed on the Xerox iGen4 EXP received honors from the International Association of Printing House Craftsmen (IAPHC) in its 2011 Gallery of Superb Printing Awards. Winning entries included the "Photo Publishing Direct Mail" piece, printed on a Xerox iGen4 EXP Press with matte dry ink on a 26" sheet. The Must See 'ems awards, sponsored by PrintCom Consulting Group, are given to the most unique, innovative, and compelling products and services on display at Graph Expo. The awards are selected by a panel of print industry consultants and non-vendor related program participants. The selection committee chose the iGen4 EXP as a Must See 'em in 2011. 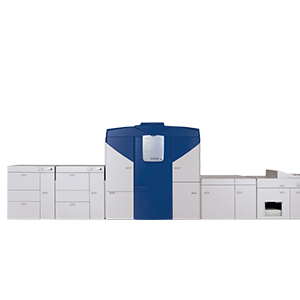 The Xerox iGen4 EXP with matte dry ink won 7 awards the 2011 Gold Ink Awards, the industry's most prestigious printing competition. Winning entries included "Althea Calendar" (silver); "Turn the Page (Sneak Peak)" and "Moulin Rouge Collection" (bronze) and "Robert Weston Classic Booklet"; "Stephen Williams Collection", "Robert Weston Black and White Portrait" and "Zoo Exhibit Collection" (pewter).